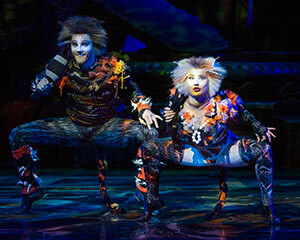 Amidst surprise and sparkle, and orchestration that leaves you breathless, a choir of cats slide, scrape, scratch and bounce onto the stage at QPAC Lyric Theatre. This lively musical play beautifully brings the whimsy and joy of the characters and story to life from Judith Kerr’s bestselling children’s book. Heathers is truly a show I wasn’t expecting to be such an amusing, confrontational, smack-talking tremendously good time. Yes, I have seen a lot of different circus performances in my life – everything from traditional, colourful, gothic and fantastical but never have I experienced such a thrilling ride of fear and fun. The audience goes wild at the onset, clearly knowing they are in for a wonderful ride as Jean Valjean bursts onto the stage with all the fight and fervor, fear and feistiness that only a prisoner, recently set ‘free’ after stealing bread to feed someone else, can muster. Is there any more evocative an opening line than, “Once upon a time”? Harvest Rain’s production of Into the Woods, currently playing a QPAC, starts here and jumps into its fairy tale setting with the appropriate gusto, weaving a tale full of magic, laughter, suspense and music. Gordon Hamilton and Tom Thum have come from opposite ends of the musical scale and joined forces, backed by the powerful sound of the Queensland Symphony Orchestra, to bring a show unlike any other symphony you have, or will, ever see again. Dracula | shake & stir theatre co.